As soon as this beautiful and mysterious place of the Northern Urals is not called: Man-Pupu-Ner, Man-Puppy-Ner, Bolvano-Iz, Mansi dolts ... Tourists usually call them briefly - "Pups". In the translation from the Mansi language, "Man-Pupu-Ner" means "A small mountain of idols". All these remains are seven. Six pillars lined up on a flat plateau in a row, and one stands slightly apart. Their height is from 30 to 42 meters. All of them have a bizarre outline. For Mansi this place has long been considered a saint, they forbade going here. According to one legend, stone pillars were in antiquity by seven giants-Samoyeds, who walked through the mountains in order to destroy the Vogul people. But, rising to the plateau, their shaman leader saw before him the sacred Vogul mountain Yalpinger. In horror, he threw his drum to the top (it is now called Coyp - "drum") and all seven giants petrified with horror. Since then, they are standing on this mountain plateau. Being here, it's really hard to believe that these mysterious pillars were formed only because of the destruction of the mountains. Nevertheless, this is so. Pillars were formed for many millions of years as a result of weathering of the Ural mountains. The surrounding weak rocks collapsed, and these harder breeds survived and formed this miracle of nature. The pillars of the Man-Pupu-Ner plateau in 2008 were recognized as one of the seven wonders of Russia. In the course of voting, more than 1.5 million votes were collected for them! The virgin beauty of this place was preserved due to its remoteness and inaccessibility. Within a radius of hundreds of kilometers there are no settlements. For this reason, random people, prone to vandalism, here, fortunately, do not get. The campaign for Man-Pupu-Ner for unprepared people is only available when casting and dropping by helicopter. In the case of hiking, it is only accessible to experienced, well-trained tourists. The walking route usually takes about two weeks. The weather in these northern mountains is very cold and unpredictable. Fogs are frequent, in which it is difficult to discern the columns of weathering and it is easy to get lost. The weathering posts are located on the territory of the Pechora-Ilychsky Reserve and for their visits, in order to avoid problems, one must obtain permission from his administration. For this you need to write an application addressed to the director of the reserve. In the application it is necessary to indicate the expected dates of the trip, the list of participants of the group, passport data and contact details. In the reserve will issue a pass, taking for him an environmental fee. Also, the Pechora-Ilychsky Reserve organizes 10-day hikes on the Man-Pupu-Ner plateau for tourists. In the summer of 2011, this service cost 13 thousand rubles, which includes accommodation in the hotel Trinity-Pechorsk, delivery to the cordon Ust-Lyaga, guide services, bath. How to get to Man-Pupu-Nera? The weathering pillars of Man'-Pupu-Ner are located in the Trinity-Pechora region of the Komi Republic, in the interfluve of the rivers Pechora and Ichotlag. Getting to them is very difficult, because they are in a remote, inaccessible area. Those who have a lot of money can order a helicopter tour (although the weather is not always favorable to tourists). The rest will have a long walk. For backpackers there are two variants of the route - from the Komi Republic and from the Sverdlovsk Region. In the Republic of Komi, you first need to get to the district center of Troitsa-Pechorsk. Before him there is a train from Syktyvkar. Then, by car to the village of Yaksha, where you can arrange for a trip up the Ilychu by motor boat (almost 200 kilometers). After this, you have to walk another 38 km. Help in the transfer in the village of Yaksha can be obtained from the administration of the Pechoro-Ilychsky Reserve. The trip to Man-Pupu-Ner from the Sverdlovsk region is much longer and heavier. 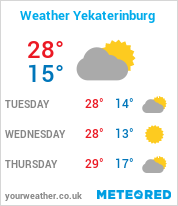 First you need to get to the city of Ivdel (can be reached by bus or train from Ekaterinburg). In Ivdel, on the basis of the Ministry of Emergency Situations, it is possible to negotiate with a pass for a high-terrain vehicle to the Auspii River. Will cost this is not cheap. Having reached, it is necessary to go along the river Auspii to the west about 20 kilometers, then climb to the notorious Diatlov Pass and go along the ridge in the northern direction for another 75 kilometers. It's not easy to go, because the mountains are made up of kurums. In good weather, the pillars are visible from afar. They stand on a small ridge, which is parallel to the main one.